Oh, October. That magical time of the year where the temperature drops, the seasons colours change and er… my eating trousers come out of storage. With Halloween and Bonfire Night round the corner, I get so excited about pumpkins, toffee apples, hearty stews and soup. 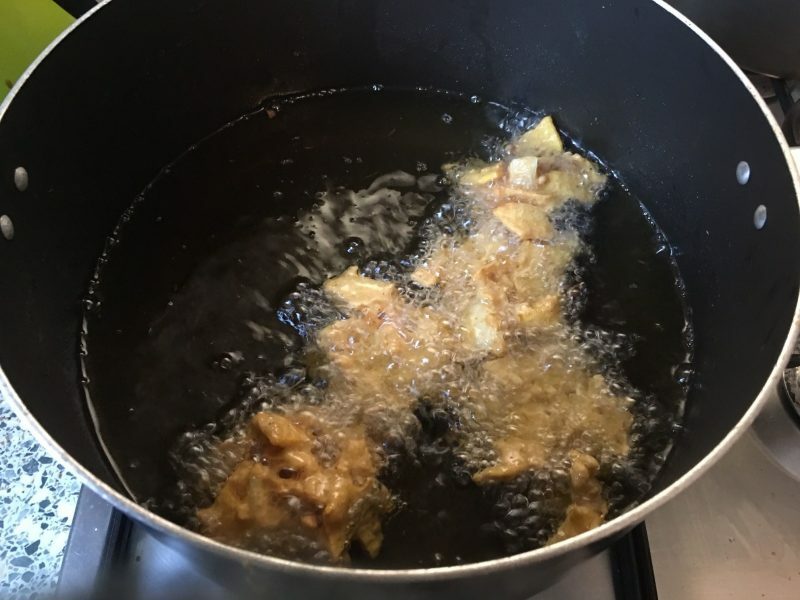 Combine that with my love for street foods and markets, I felt it was appropriate to merge the king of fried Indian snacks – Pakoras, with a seasonal twist! Pakoras are also known as Bhaji’s, although technically Bhaji’s (commonly made with onions) are part of the wider Pakora family. 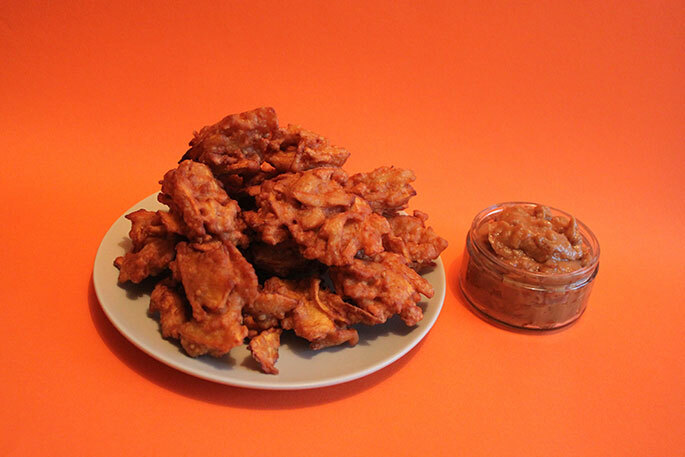 A Pakora is essentially any manner of ingredients deep fried in a spiced batter. Either way, they are a huge part of my childhood and I still get excited when my mum decides to make them as snacks. Best served fresh and crunchy, washed down with a cup of Chai. It’s heaven! Anyone that has visited the markets in India or Pakistan can tell you how the smell of them cooking wafts through the air. 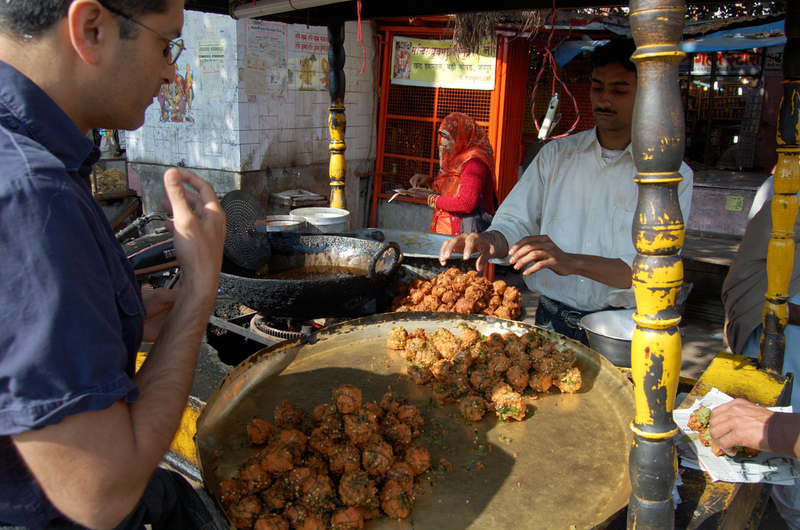 Cooking up fresh Pakoras in India! Photography: Scott Dexter, Flickr. 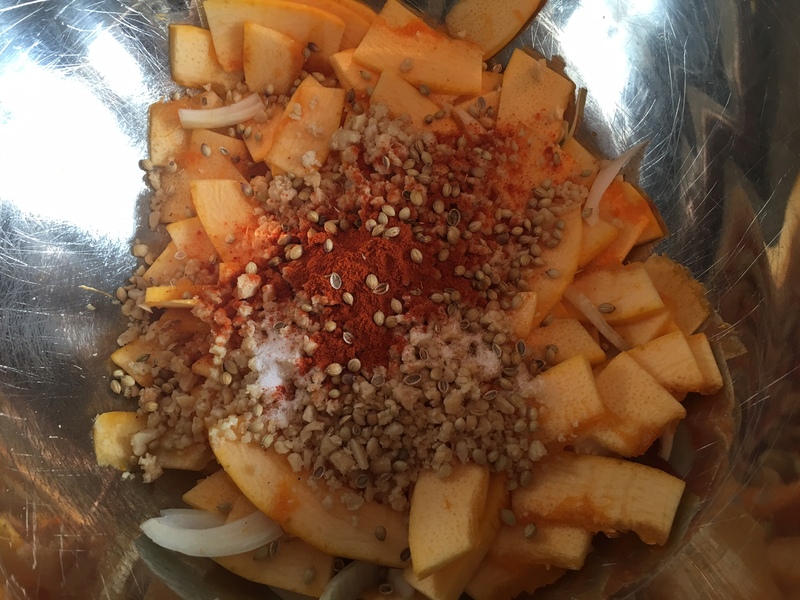 I was curious to know how pakoras would taste with pumpkin. Turns out, they taste pretty darn good! Gram flour gives a subtle, almost nutty like flavour that pairs beautifully with the peanuts. I served them up with a peanut chilli sauce for an extra kick. 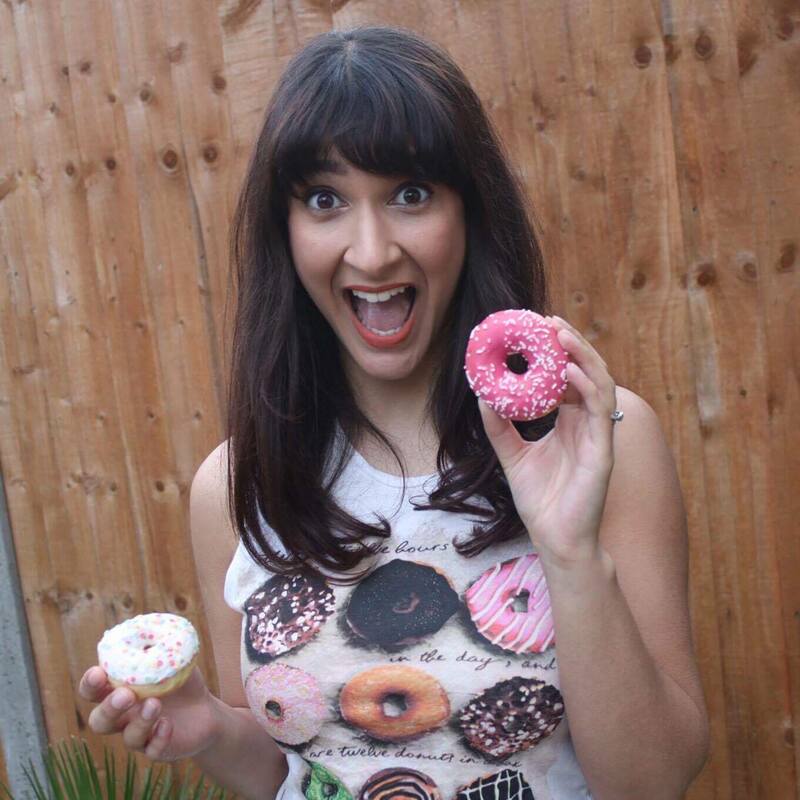 Here’s how to make a batch – but I warn you, they won’t last long once served! Serves: This made a generous plate full which I’d say was suitable if cooking snacks for 4. Usually people eat more than 2! 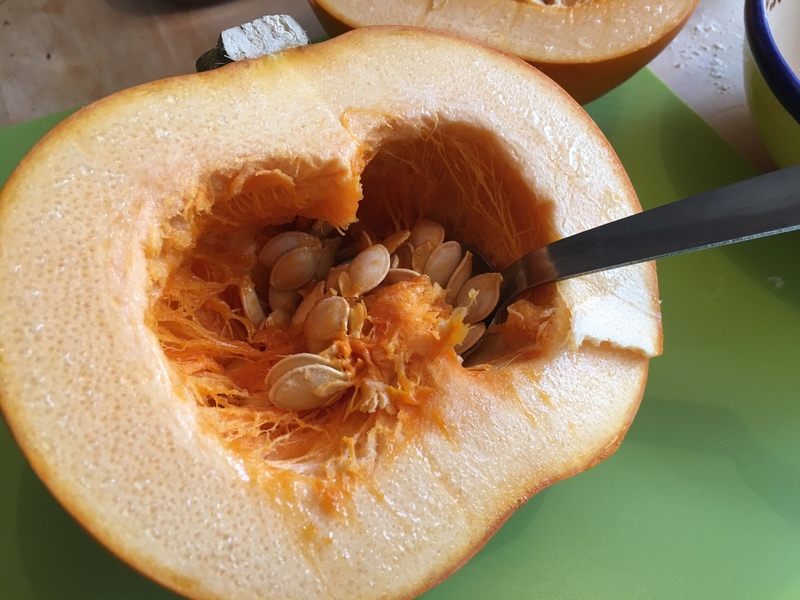 Approx 300g pumpkin. 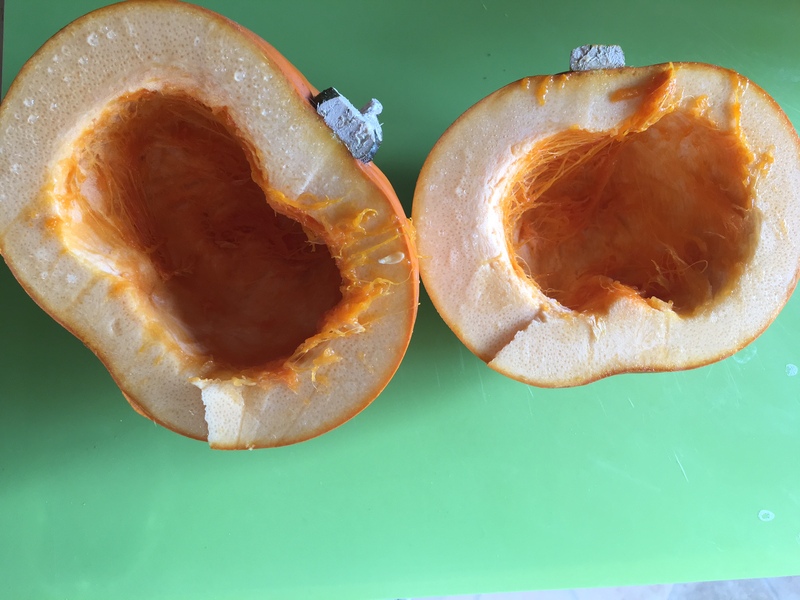 I bought 1 small pumpkin, and then only needed half of that. 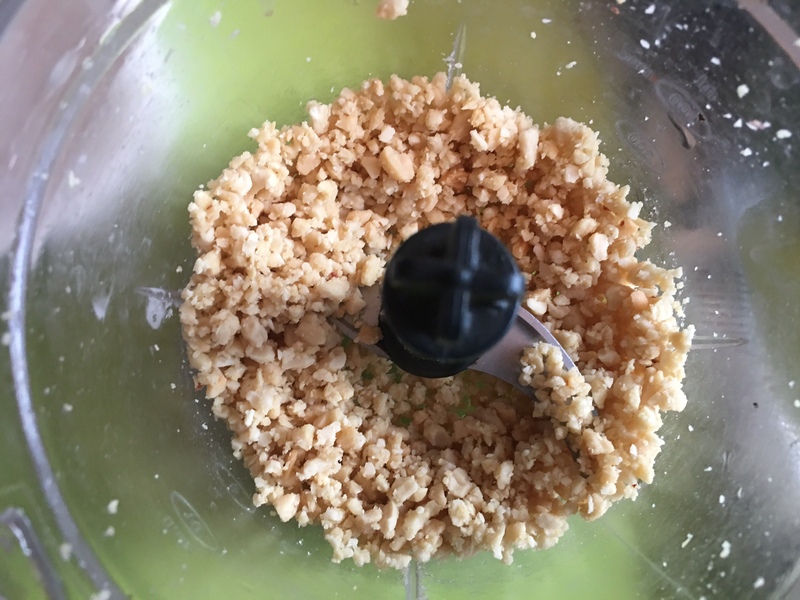 100g of peanuts, crushed but not too finely. 1 teaspoon chilli powder (or to taste) or 1-2 fresh green chillies, minced. OPTIONAL: Half an onion (I used this the first time round, but the second time, I omitted onions). It adds a slight flavour, but really isn’t necessary. OPTIONAL: Chopped coriander. I’d argue this should’t be optional but my husband is a cilantrophobe. 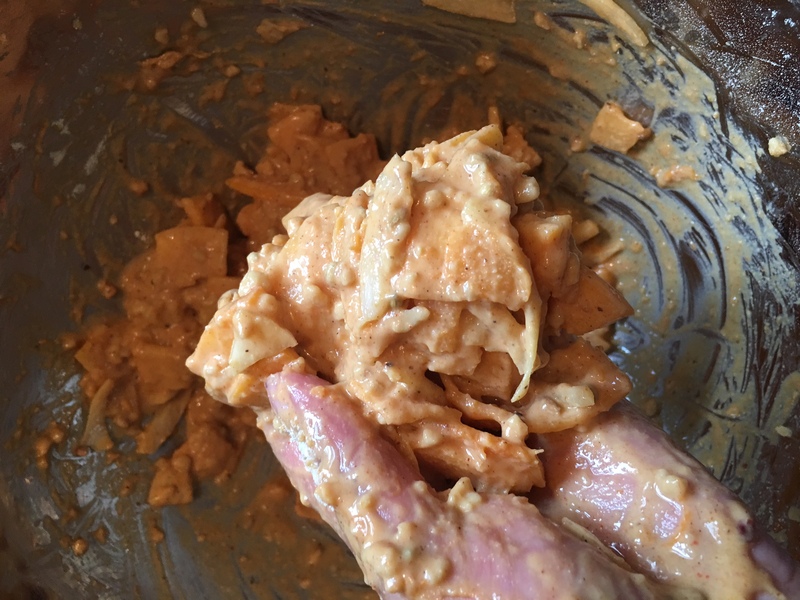 2 tablespoons of peanut butter, chunky or smooth. 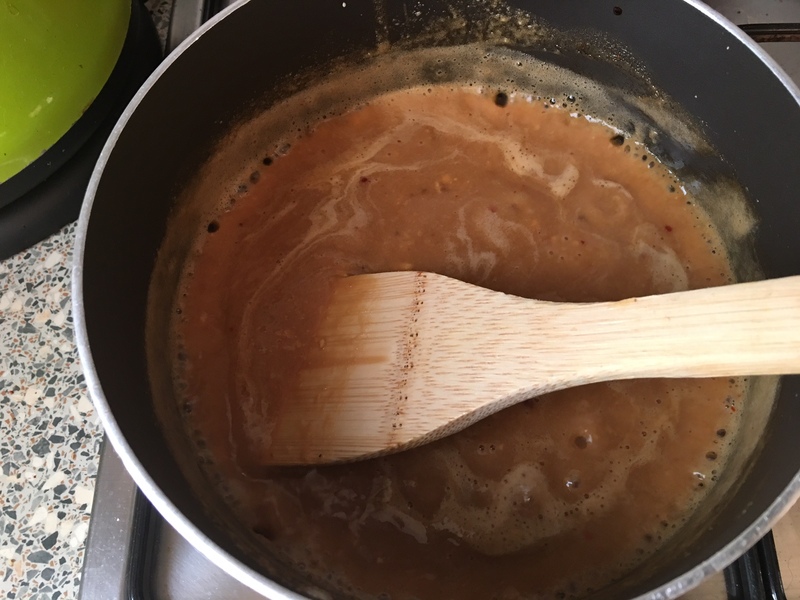 Salt to taste, make the sauce – then add half a teaspoon whilst it’s still on the stove. If you prefer more, add it in! Start by preparing your pumpkin. Cut it in half. Then using a spoon, scoop out the insides. Note, you can use the insides for other recipes so you don’t have to chuck it away! Once you’ve given them a good scoopin’ you can store the other half in a sealed ziplock bag and it will keep for a few days for another recipe, or a repeat batch of this one. Using a peeler, I went around the outside. The skin isn’t too tough, so peeling shouldn’t be a challenge. After this, you’re ready to slice! 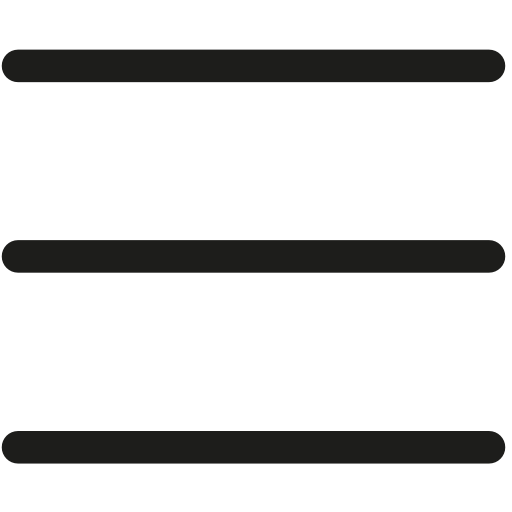 We’re looking for nice thin slices. Anything thicker and it will take forever to fry, or worst won’t cook in the middle. 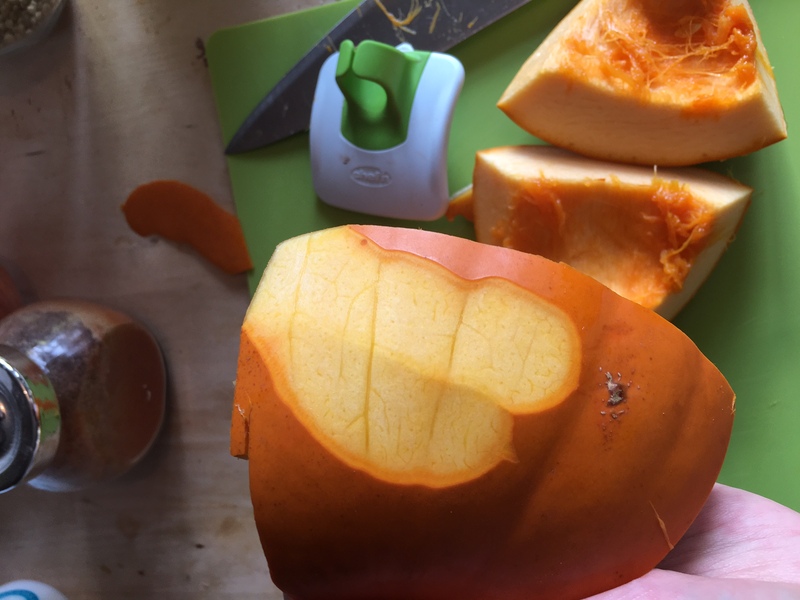 I used an old fashioned knife for this, but if you have a vegetable slicing device at home – do use that as it saves a bit of time. Separately, crush your peanuts. Now I used my little blitzy machine but you can just put the peanuts in a bag and smash it about. 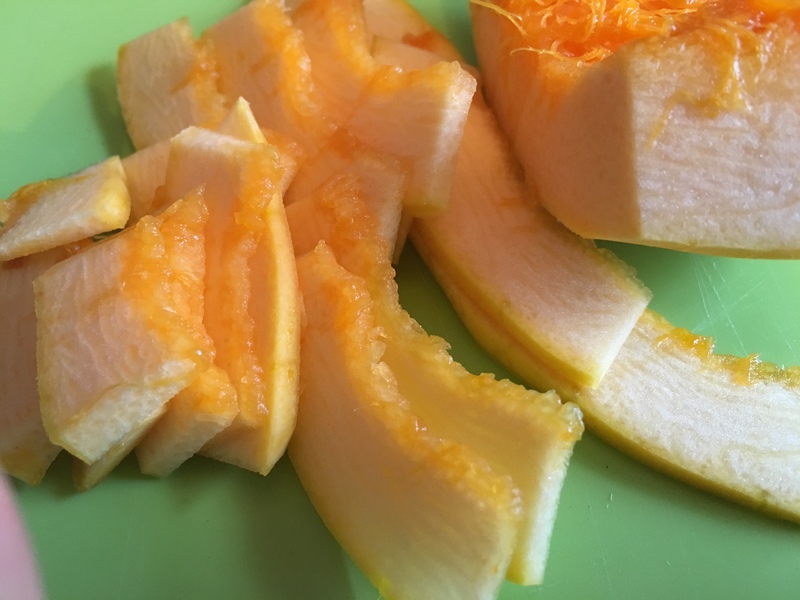 With the peanuts blitzed, go ahead and add them to the bowl of your sliced pumpkin. 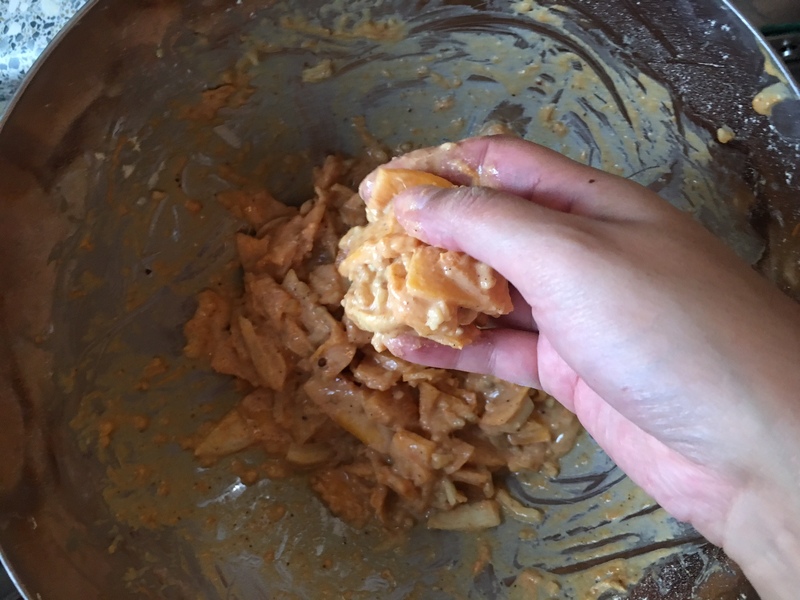 Remember to use a large bowl for mixing as you’re going to get your hands deep and dirty when combining the ingredients. To your bowl of pumpkin and peanuts, add your coriander seeds, chilli, turmeric, salt and any other optional add ins if you’re using freshly chopped coriander for example. 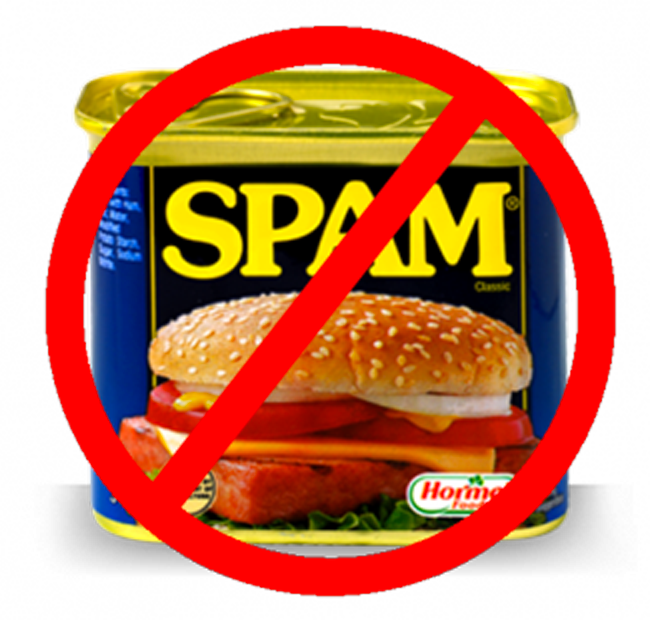 Now you want to add in your gram flour, but please make sure you sift this into your bowl. 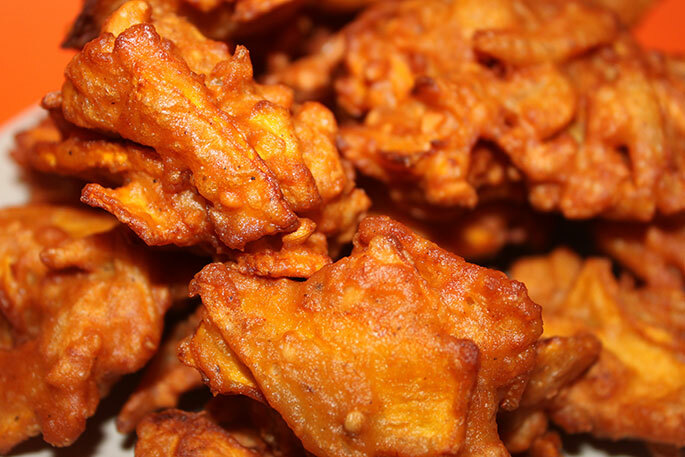 There is nothing worst than clumps of flour when you’re biting into a pakora. 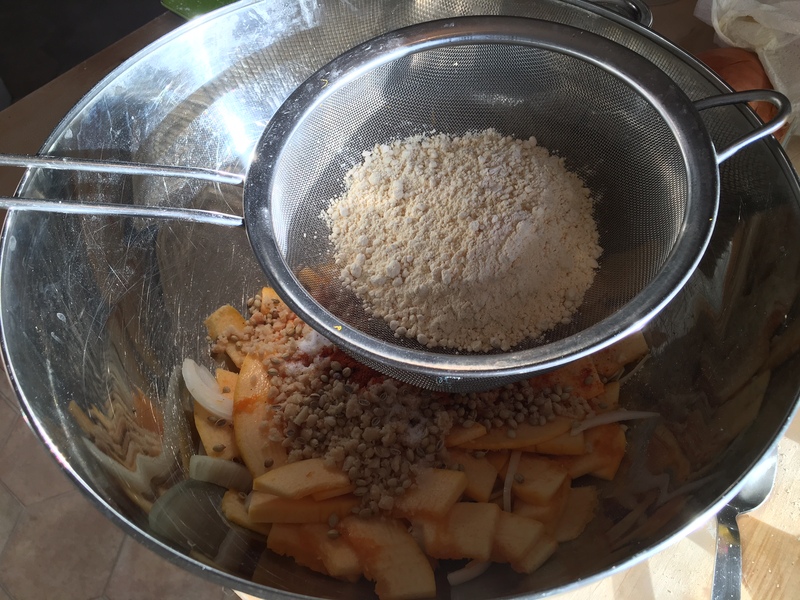 Combine everything with water, adding a little at a time till you get the right consistency. Use your hands, and properly get in there! You want to coat that pumpkin everywhere! Now, the consistency of a pakora, varies chef to chef but too much batter gives you a heavy doughy Pakora that I dislike. For me, I want a delicate crunch throughout. To achieve this, make sure the batter is thick enough to cling to the pumpkin, but not firm enough to form clumps of its own. After the mixture is made, go ahead and get the sauce in action – but remember, don’t leave your batter too long. Don’t make it the day before and leave it. Don’t make it a few hours before – it has got to be freshly made I’m afraid otherwise the moisture from the vegetables will affect the texture. 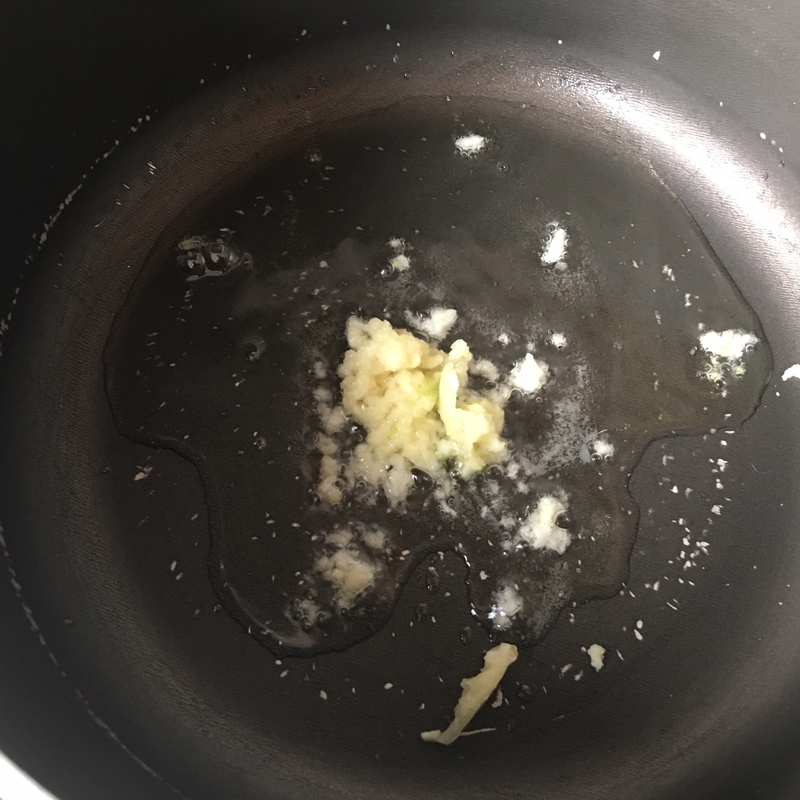 Mince your garlic and fry in some oil. Keep everything on a medium heat. 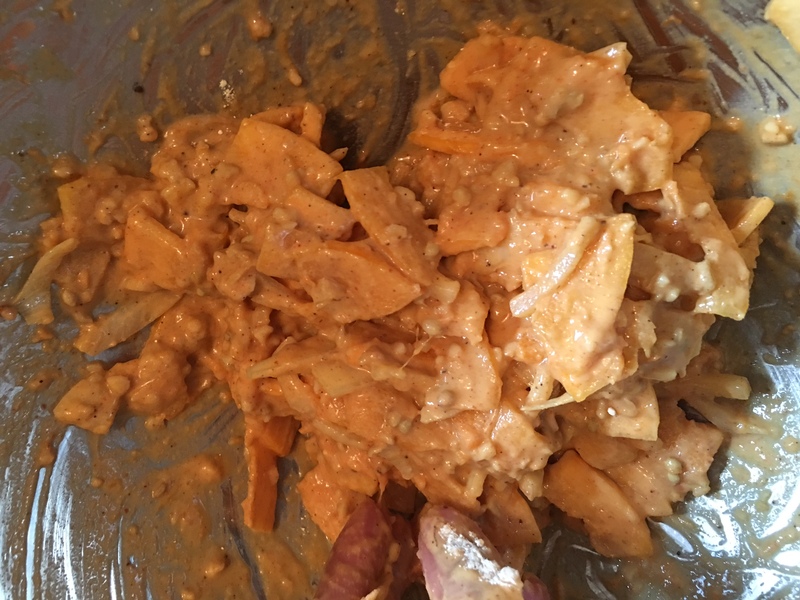 Add in your peanut butter with chilli flakes, and as it melts down begin to add in all of your other ingredients. 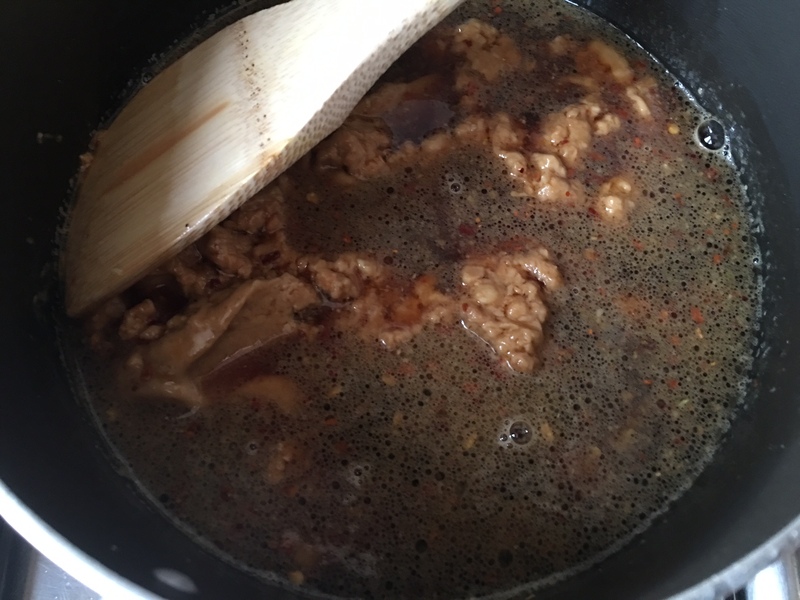 Combine, and let it simmer on a low heat until it becomes a consistency of sauce you like. At this point I would also taste and adjust your salt. 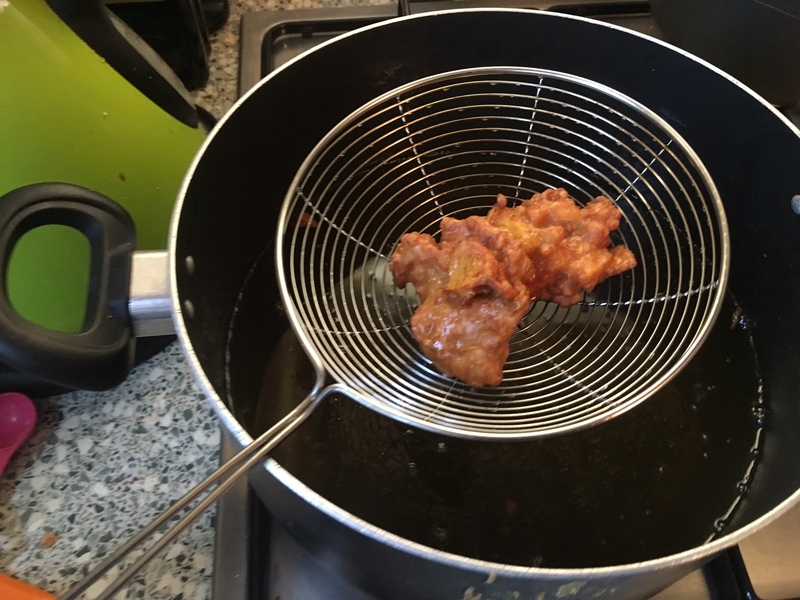 Now, back to frying your Pakoras! Make sure the scoops you add to the oil aren’t too big – otherwise they might not cook through in the middle. A nice tablespoon sized scoop is perfect. It’s important to get the temperature of the oil right. If it’s too hot, they’ll fry too fast and brown too early leaving the insides uncooked. Too cold and you’re left with an oily, soft pakora. Stick around a medium-ish 180c but don’t fret too much. Always drop in a tiny bit of your mixture to test the heat of your oil first. I’d even recommend cooking 1 pakora on it’s own if you’re unsure and see how that turns out. You can use a tablespoon to add the batter to the oil, or your hand to drop it in but please be careful you don’t burn yourself! Remember not to over crowd your frying pan as the temperature drops as you add them all in. Cook them for around 4-5 minutes, occasionally turning them over and moving them in the pan. Then using a slotted spoon or something similar, take them out from the pan. Shake off any excess oil and put them onto a plate with some kitchen towel to further absorb any excess oil. These came out deliciously crispy! Scoop up some sauce with a big dip. 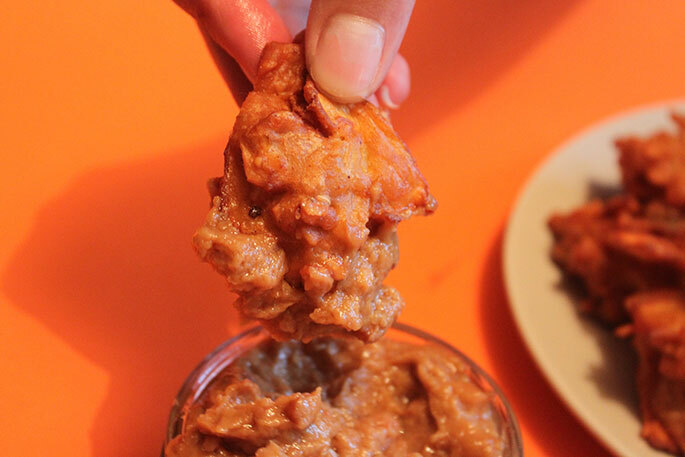 If you’re planning on making these Pumpkin Peanut Pakoras, let me know in the comments below and Tweet, or Instagram me a picture on @SoWrongItsNom!